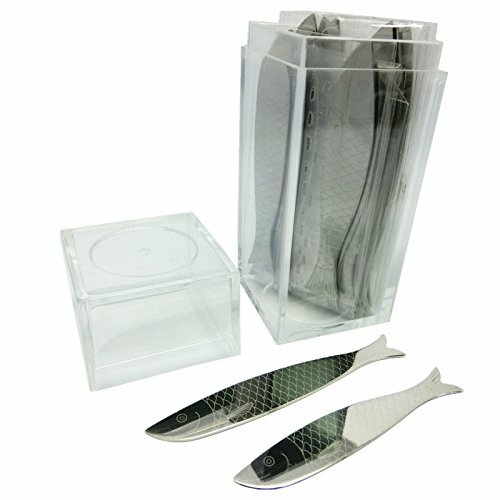 Shang Zun 20 Pcs Fish Design Metal Collar Stays in Clear Box, 2.2"/ 2.5"
100% Stainless Steel Collar Stays. 2 Length: 10pcs - 2.2", 10pcs - 2.5". Width:10mm; Thickness:0.8mm. Special Fish Design Collar stays, works with all dress shirts that have built in collar stay pockets. Your dress shirt will look amazing in all situations. Business, Business Casual, Casual, Tuxedo or Wedding. Come with a Clear Plastic Box. Convenient and easy to travel with packaging.